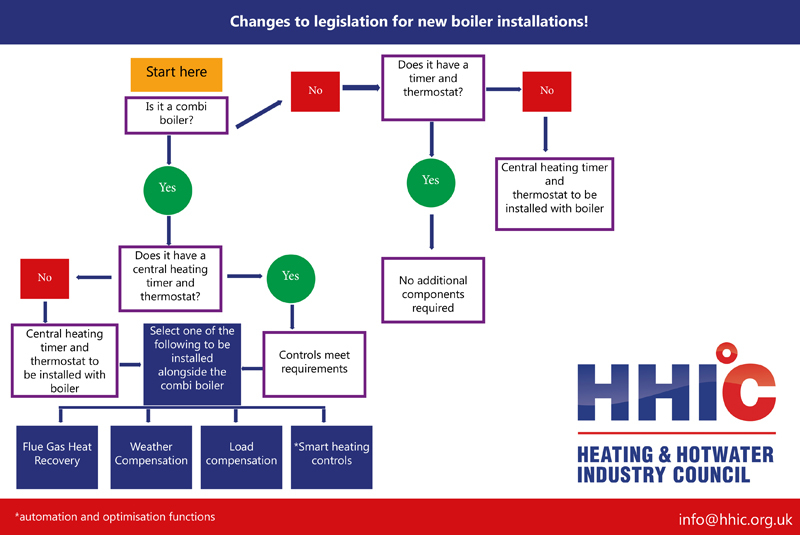 The introduction of Boiler Plus legislation in April 2018 has encouraged innovation within the industry and delivered a greater range of heating system products for consumers to choose from, says the Heating and Hotwater Industry Council (HHIC). Stewart Clements, Director, HHIC said: “Mandating certain controls, such as programmable timers and modern thermostats, is leading the market to develop new products and improve existing ones to cater for the increased demand. The range of products available for controlling domestic heating systems was already rapidly developing. Boiler Plus complimented and accelerated this trend by making consumers more aware of the many options for enhancing the efficiency of their system. “Through talking to installers it was apparent that many were already fitting the technology specified in Boiler Plus, as standard, so ‘challenges’ have been minimal. Consumer education is a continual challenge faced by the industry as a whole. However, these changes mean far more conversations between installers and their clients about the options that are available to meet them. “There are differing opinions across the industry regarding Boiler Plus. It’s a case of look back and don’t stare. Some felt it went too far and many others would suggest it didn’t go far enough, some may see it as legislation simply catching up with industry standards, and they are not wrong, but we need to remember there is a cost to the consumer at the end of every installation. “The Boiler Plus policy was delivered collectively through the platform of HHIC to act as a catalyst towards improving the UK’s energy efficiency. The European energy label regulation introduced in 2015 has encouraged boiler manufacturers to develop more energy efficient products which has been recognised in the Boiler Plus legislation by setting a minimum boiler efficiency of 92% for all gas boilers. *Mandatory Boiler Plus beyond the combi boiler market. *Mandatory Boiler Plus for new build heating system installations.